Whoops! 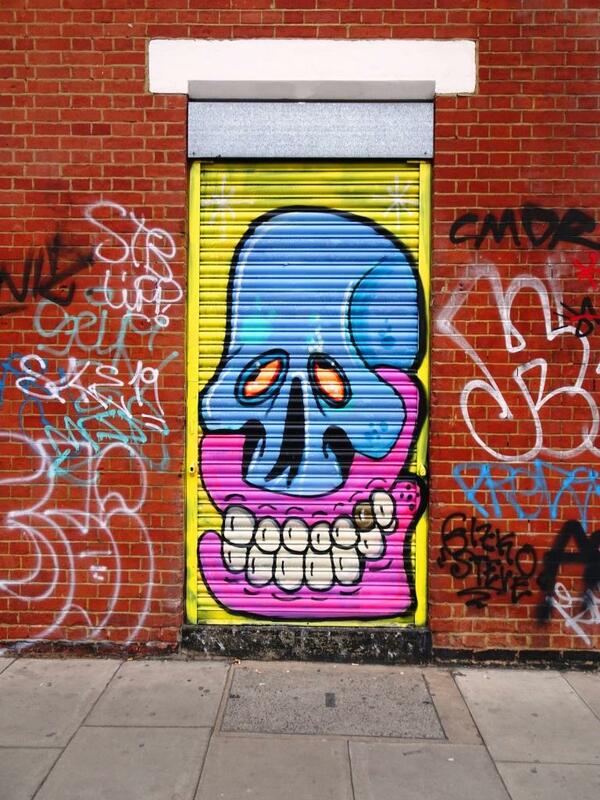 a slightly wonkey picture of a beautiful shutter piece by Vanesa Longchamp on North Street. This was one of two Upfest pieces by the artist that I had not come across before the festival. Looking at digital social media, you can see how popular her work is and it is easy to understand why. I love it when artists do more than one piece at the festival, especially when one of them is likely to have some permanence. Like her other piece, this is a beauty which oozes class. While the lines and concept are straightforward, the execution and USP are stamped all over it. We wwere lucky to see two of her works this year.